Black Prophets Music Records, trading as Black Prophets Music (Pty) Ltd, is a fully registered South African music company based in Johannesburg Down Town. 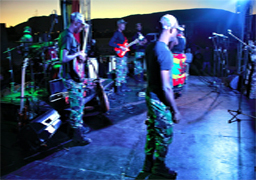 The Company manages Rob Prophet and The Prophets Music Band, together with other different artists. Black Prophets Music as a record company, has been in business since June 2013. You might be right to say that we got into business, during the release of album We Need Love in 2013. Our main objective is clear, musicians are very rich but under privileged and disadvantaged. Now Black Prophets Music Records, we are here to change that scenario. Read about our company setup. You are welcome to contact us anytime. Contact us now Our Office opening hours, are from 8:00Am to 5Pm Monday to Friday. However, our marketing team work 24/7. 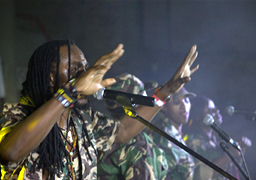 Black Prophets Music Reggae band was found by Rob Prophet, also known as Robert Kanoonya in Johannesburg South Africa November 2006. The Roots Reggae Electrifying Band plays live performances exactly the way you listen to the Music Audio and videos CDs, with more sensitive touching Messages similar to that of Lucky Dube, Peter Tosh, Bob Marley and Alpha Blondy. The Prophets band we are based in Johannesburg South Africa. We have recorded Four Albums, Three International and one local album. The International Albums goes by the titles Billionaire, We Need love and Holiday of love. Billionaire has 15 tracks, We Need love has 12 tracks, 10 tracks Holiday of love. And the local album is called Jenifer with 10 tracks. Rob Prophet and the band also released 2 singles in 2017. The songs are Going to Zion and Sabbatha. These songs were requested by our South American promoters from Golpe Cerrerado Records. The Prophets we play Music in so many international languages namely English, Swahili, Ganda and Zulu to mention but a few. The 15 track Billionaire Music album will be released on 26th Dec 2018 in more than 350 online music shops worldwide. Also pre-orders will be ready on 23rd Dec 2018 on google play and iTunes. Contrary to popular beliefs, The Prophets we play Music with a moral message to be delivered to Jah Children, and as most people know about Reggae Music, it’s all about daily happenings (the things that happen to our neighbours and to ourselves). Now that is what our music is all about. We stand firm and immune from Marijuana, and other related drugs. This is because our music is prophesy, and we have got to act as role models, in our local Communities and Societies. Our band is comprised of,13, 11, 10, 9, and 8 piece performers, with Rob Prophet as the composer, writer, arranger and the Leading Vocalist. Reggae Veteran Thuthukani Cele is the Executive Producer, Adam Matyrs is the drummer, Thapelo Mochaki is the second Keyboardist, Conference Khoza is the first keyboardist, Andile Nqubezelo is the Percussionist, Kabelo Mathebula is the bassist, Aubrey Kganthe Mphahlele is the lead Guitarist, Ntombizodwa Tshabalala backup vocalist, Busisiwe Lunga backup vocalist, Phindile Ndlovu Backup vocalist, Samuel Jacob Effiong is the wizard of the wind instruments. What the Prophets do besides music, we are all educated and working in professional offices, most of us are professional engineers and some are doing other professional work from our own Companies called RNK Printing, Matrix Modifiers and Black Prophets Music Records. Our band Sound Engineer and Executive producer are reputable all weather reggae veterans, who have worked with Lucky Dube on all his albums recording and tours and also so many South African Internationally recognized artists, and overseas artists like Simple dread, Kanda Bongo Man and Eddy Grant etc. They are International and nationally recognized veterans, in sound engineering and quality work production. They have been working with Teel Records prominently known as Gallo record company. Their names are Dave Segal from Forest Studio and Thuthukani Cele a reputable keyboard player and lead singer/producer. Our music can be found on our website of www.blackprophetsmusic.com and in more than 350 International online shops, the few shops we can quickly and briefly name; iTunes, Amazon, CDBABY, KKbox, Deezer, Down In The Valley, Rhapsody, ebay to mention but a few.